Today, the JOBS Act has led to the emergence of an entire industry formed around the concept of small investors pooling their capital to purchase real estate. You can capitalize on these recent legislative changes by understanding how crowdfunding is disrupting the real estate industry. The specifics of what an investor actually owns by holding a share in a crowdfunded deal can vary between crowdfunding providers. However, many platforms create a new limited liability company for each property so that investors can own a real equity stake while still allowing for organizational flexibility. Many crowdfunding platforms have successfully closed thousands of deals, so they have the resources and experience to ensure that new entities, mortgages, and organizational documents are legally sound. The main benefit of crowdfunding for investors is that it enables participation in the marketplace without the necessity of astronomical net worth. According to recent research, the compounded annual growth rate of property investments was 8.7 percent over the 20-year period between 1997 and 2017. In contrast, the S&P 500 yielded just 5.5 per annum over the same period.3 By enabling investors to participate in real estate opportunities at an earlier point in life, crowdfunding can help investors to accumulate wealth at a faster rate than with ordinary stocks and bonds. Tax advantages: Although the Tax Cuts and Jobs Act of 2017 reduced some of the tax advantages associated with owning real estate, major deductions, such as depreciation allowances and business interest deductions, can still be claimed when your real estate investments are structured properly. Crowdfunding platforms structure investments so that your pro rata share of deductions will pass through to you personally to reduce the taxable income of your investment portfolio as a whole. Plenty of data: When purchasing real estate in a competitive environment, the key to success is having better data than other players in the marketplace. Many crowdfunding platforms provide their clients with all available data from public sources. Additionally, operating agreements often guarantee the right to audit accounts and receive routine financial statements. Low capital requirements: You can get into most crowdfunded real estate investment opportunities without a significant lump sum of capital. Since the capital requirements are so low, you can easily set aside and invest a portion of each paycheck you receive. For people who lack enormous amounts of liquidity, low capital requirements make investing feasible and affordable. Diverse asset classes: When you invest in crowdfunded real estate, you do not have to only invest in small residential properties. Many condominium projects, corporate parks, and other commercial projects are available to small investors who use crowdfunding platforms. You can, therefore, invest your money into a diverse range of properties to reduce risks and gain exposure to a wider range of opportunities. There are few disadvantages to crowdfunding since many opportunities would not exist in the absence of the JOBS Act. Investors should, however, be aware that there are some drawbacks that could make crowdfunding less advantageous in certain situations. Illiquid investment opportunities: Most retail investors expect the ability to easily sell off their holdings in a matter of seconds using online exchanges. Unfortunately, crowdfunded shares can take months to sell to another investor because they are not readily traded on public securities exchanges. However, many investors see the illiquid nature of crowdfunded properties as an advantage because these investments do not have to be accounted for on a mark-to-market basis. The JOBS Act provides broad flexibility for crowdfunding providers, so you will need to do your due diligence to investigate a prospective platform beforehand. In recent years, the crowdfunding industry has been increasingly characterized by high market fragmentation. Therefore, you should look for a provider that focuses on serving investors with needs similar to your own. Realty Mogul was one of the first players to enter the crowdfunding market in 2013. The provider focuses on working closely with both individual and institutional investors so that investment decisions do not have to be made blindly. Most of Realty Mogul’s investments involve properties that have already been leased to a tenant on a long-term basis, so the provider’s products are able to provide relatively steady returns. Fundrise is another major provider with crowdfunded investments available to non-accredited investors. Most of the properties offered by Fundrise can be purchased with just $5,000 in capital. However, the low capital requirements of Fundrise investments do not cheapen the quality of available investment opportunities since major projects, including the new World Trade Center, have been available on Fundrise’s platform. As with all investments, crowdfunded real estate entails a degree of risk. However, you can greatly reduce the risk associated with crowdfunded investments by doing your due diligence to study a prospective platform and its offerings before committing your capital. You should also make sure that you understand the projected liquidity schedule of an investment to avoid experiencing a cash flow shortage. Finally, make sure that you diversify your portfolio to avoid incurring more risk than you can afford. 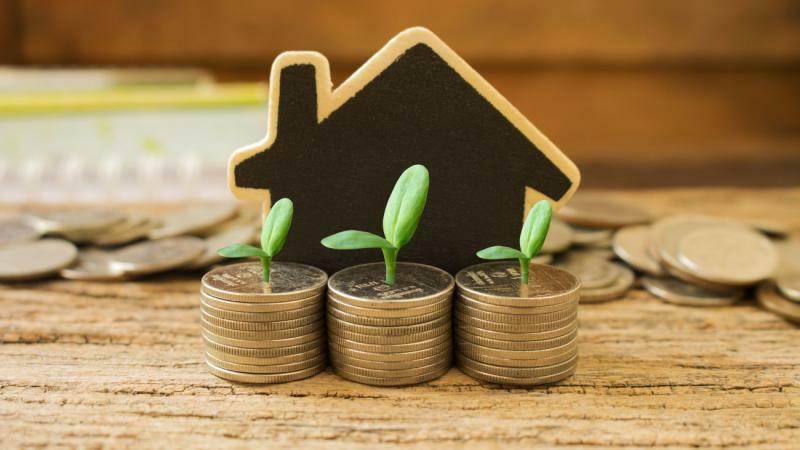 If you invest wisely, crowdfunded real estate can offer a high return investment to get you closer to a prosperous retirement.